For some, marketing can seem more like magic than medicine. Return on investment can be unpredictable, and many business owners are dubious about marketing’s real-world benefits. Solid metrics give you the insight and evidence to prove your efforts are not in vain — so long as you know how often you should evaluate them. Whether you’re just getting started or you need to overhaul your measurement strategy, here’s a quick guide to how often you should be measuring some key marketing metrics. A good rule of thumb is to check things like total number of visits, total number of leads, and number of leads or visits per channel daily. If you have a dip in visits or leads one day, you can quickly identify (and fix) whatever might be causing the decrease, so the rest of your month isn’t affected. For example, say you changed the hierarchy of content on your homepage pushing a link to your whitepaper below the fold. If you notice fewer leads from whitepaper downloads at the end of the day, you can restructure the content accordingly and avoid missing your monthly goals. Metrics related to campaign performance, blog views, and CTA click-through rate should be monitored weekly. When it comes to evaluating these metrics, you’ll need more time to get an accurate picture on how your site is performing. Let’s take, for example, a marketing campaign designed to promote your newest webinar. On launch day, you might send out an email promoting the webinar and post on several social channels, but you still have some paid ads and a blog post slated for the rest of the week. You won’t have an accurate picture of how your campaign is performing until the end of the week. Plus, the longer your post promoting the webinar has been live, the more data you’ll have to work with. You’ll be able to compare its performance to other posts, so you can see how the topic has resonated with your audience, or whether promotional posts are the best way to drive people to the webinar (or if social promotion might be more effective). Based on what you find at the end of each week, you should adjust your campaign. How well did your promotional efforts drive traffic to your webinar landing page? How many clicks did your webinar CTA receive? Were some CTAs more beneficial than others? Gathering this information on a weekly basis will help you constantly optimize your site and look for improvements and new points of conversion. At the end of the month, it’s helpful to check metrics like the average email click-through rate, cost per lead, and social media engagement. Average email click-through rate gives you an idea of which emails had the most success, so you can analyze what made them so appealing. Did you test different email formats? Which headlines resonated with your audience? Which email recipients were the most engaged. Look for which emails got the most engagement (and drove the most traffic to your landing pages), so you can determine what they have in common and replicate it in the future. While measuring the number of visits to your site gives you a big picture idea of how well your marketing campaign is driving traffic, it’s important to remember that traffic is not the ultimate goal. In a healthy campaign, you should expect your number of visits to grow at a steady rate, but you eventually want those visitors to convert into leads. Every month, it’s helpful to know not only how many new leads you’re getting, but also how much it’s costing you. Cost per lead is helpful to determine whether your efforts have been worthwhile, or you’re wasting money on a campaign that isn’t converting. It’s calculated by dividing the amount of money spent on advertising by the number of leads generated by that specific paid ad. Revisiting your cost per lead every month ensures you have enough information to make decisions that maximize your efforts and stays within your marketing budget. Finally, social media engagement is constantly fluctuating, so it’s best to look at big picture trends over the course of the month to determine whether your efforts are performing well. If you start losing too many followers or see a drastic dip in engagement, it may be time to refocus your efforts in upcoming campaigns. In addition to tracking metrics daily, weekly, or monthly, it’s important to keep records of your monthly results so that you can track trends over the long term. For instance, you might notice that certain months produce unusually high traffic, and that this trend repeats year after year. Without long-term analytics tracking, you might miss out on this valuable information about your audience or niche. 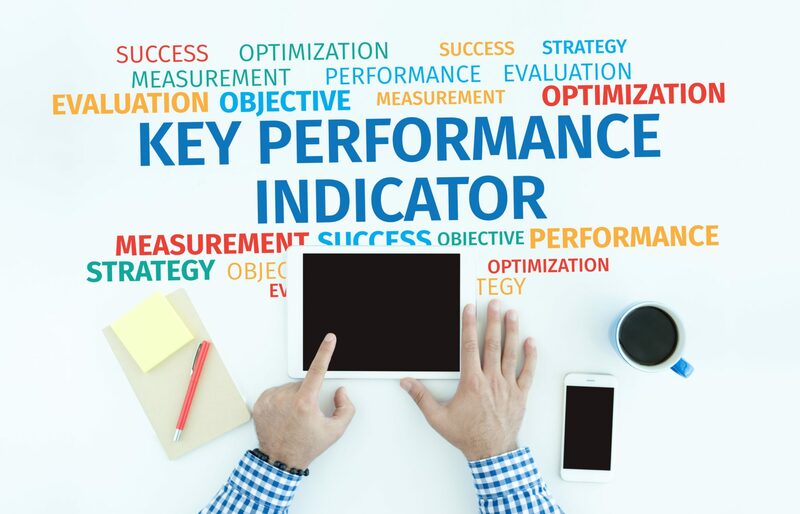 Checking your metrics is one of the best ways to ensure you will find success, but you need to be strategic and consistent about how often you monitor your site. Whatever schedule you decide on, it’s important that you adhere to it. It only takes a couple minutes to glance over data, check for trends (or anomalies), and determine if any action is required.